The shock and horror of the events of Aug. 12, 2017, may have dealt a blow to the alt-right movement that helped inspire and organize the racist rally, but a year later, on the eve of the tragic anniversary, the city is nonetheless in a state of emergency for fear of a repeat. In Charlottesville, Va., the scars are still fresh. There's a small stretch of street in the centre of town where bouquets of flowers line the sidewalk. On the brick wall they lean against, messages of love have been written in chalk. "Hate has no home here," reads one ribbon tied to a street sign. It's called Heather Heyer Way, in honour of the 32-year-old woman who was killed here a year ago Sunday. She was standing in the street that fateful day to protest the white supremacists who had descended upon her city. A car with an alleged neo-Nazi behind the wheel mowed her down, and injured many others. The shock and horror of the events of Aug. 12, 2017, may have dealt a blow to the alt-right movement that helped inspire and organize the racist rallies, but a year later, on the eve of the tragic anniversary, this city is nonetheless in a state of emergency for fear of a repeat. "It's important to me, since I was there, to have a space where I can come and reflect," said Chelsea Stabler, a Charlottesville resident and counter-protester, like Heyer, who brought flowers to the memorial. And during that reflection, she shared a vow: "We are going to go against hate no matter what." No longer just the name of a city, the word "Charlottesville" has been fused into the American psyche as an event where forces of racial bigotry felt emboldened to march in the streets of a sleepy southern town, evoking painful memories of the country's racist past. Hundreds of white supremacists came from across the country to attend the Unite the Right rally. 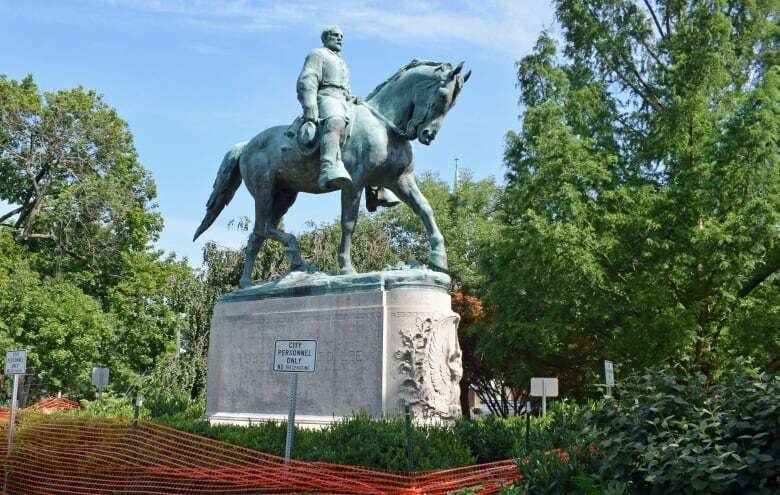 The purported aim was to protest the planned removal of a statue honouring Robert E. Lee, the leader of the Confederate army during the Civil War. 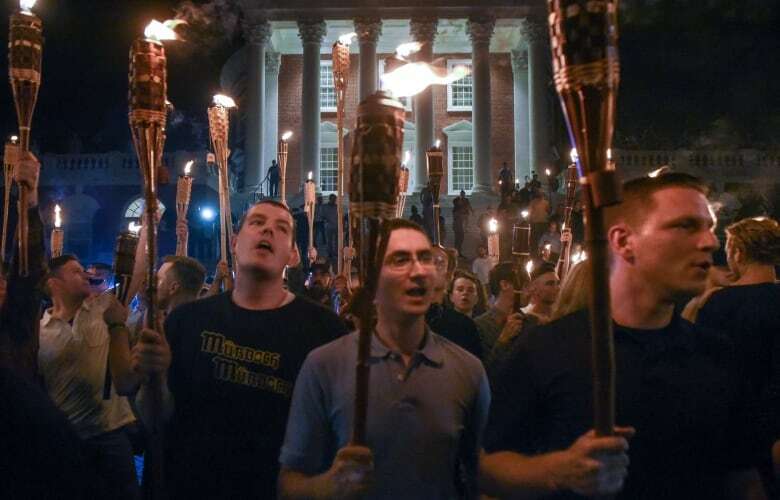 Their gathering began on the night of Aug. 11, as scores of young men marched through the campus of the University of Virginia holding Tiki torches and chanting Nazi slogans such as "Blood and Soil" and "Jews will not replace us." Politics professor Larry Sabato hid black and Jewish students in the basement of his office building to protect them from the "vicious" crowds. "There were hundreds and hundreds of them just filled with hate," he said. "It was sickening and I'll never forget it." The next day, the white supremacists gathered again, this time in the centre of the city. Many of them came armed for battle, holding shields and batons. 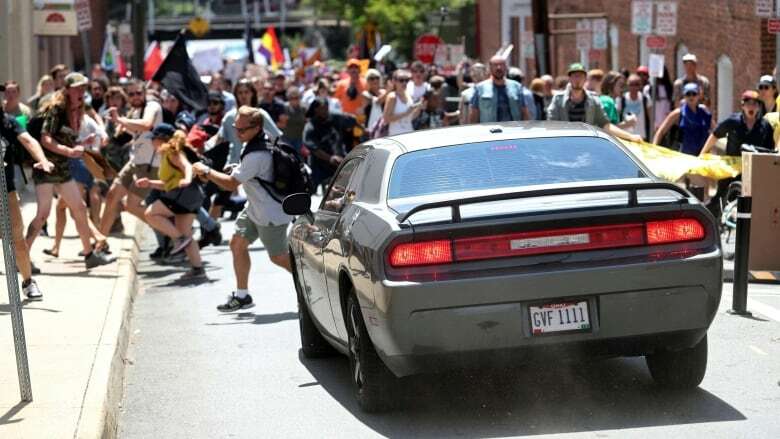 They clashed with counter-protesters — a violent confrontation that culminated in Heyer's death. The images from that day shocked the nation and the world. "Charlottesville has become a synonym for white nationalism," Sabato said. "We really couldn't have imagined what happened last year." 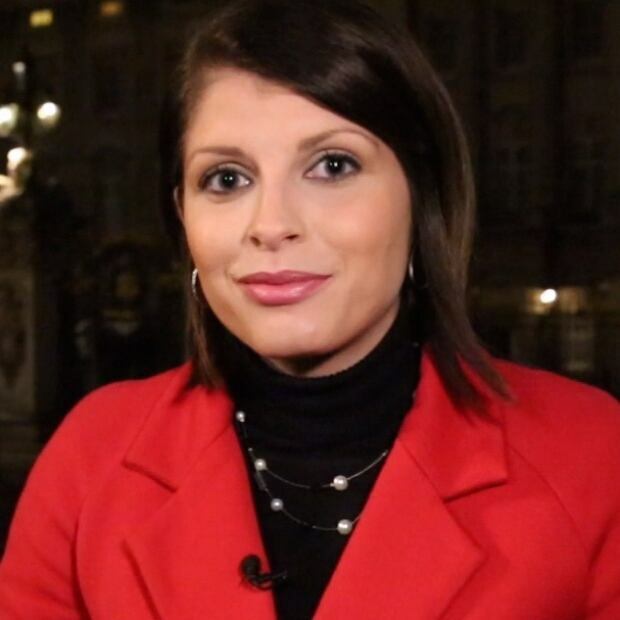 The rally was promoted by the alt-right, a collection of far-right groups that reject mainstream conservatism in favour of views widely considered to be misogynist, racist and anti-Semitic, including the belief that white identity is under attack by the presence of minorities. 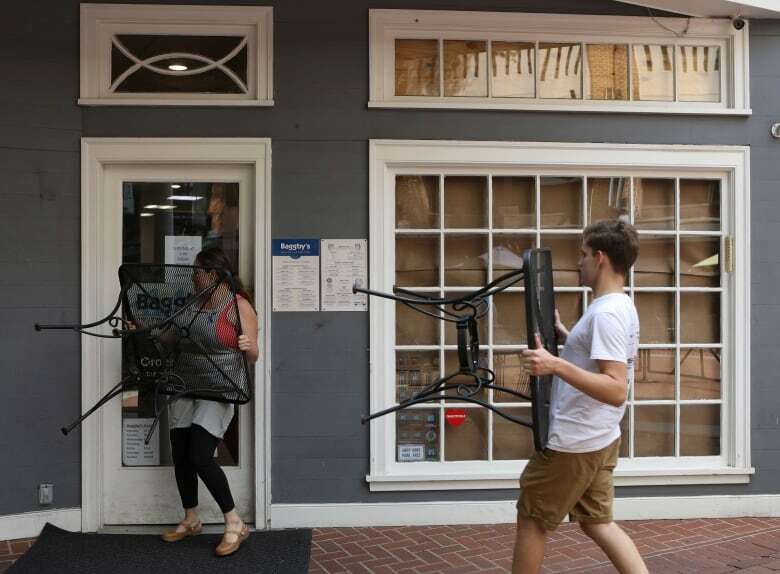 The movement's leaders hoped to celebrate their growing momentum that day in Charlottesville — a public coming out for groups that operate more online than on the street. Instead, the fierce fallout from the day's descent into chaos and death has left the alt-right frayed and struggling to reorganize one year on. "Charlottesville was this kind of moment of euphoria, and then it became a moment of demoralization," said Richard Spencer, an alt-right activist and avowed white nationalist who was once filmed leading a Hitler salute. "It, in a way, became our Waterloo." That's not to say the white supremacist ideology that fuels the alt-right has gone anywhere. The term alt-right became increasingly common during Donald Trump's campaign for the presidency. "Throughout 2016 and 2017, we felt like we couldn't lose," Spencer said. "There was this miraculous moment where we were a kind of vanguard for Trump." Spencer, who says his goal is the creation of a white ethno-state, has said in the past that he will be forever grateful to Trump for "demystifying racism," and he praises the president's anti-immigration rhetoric. 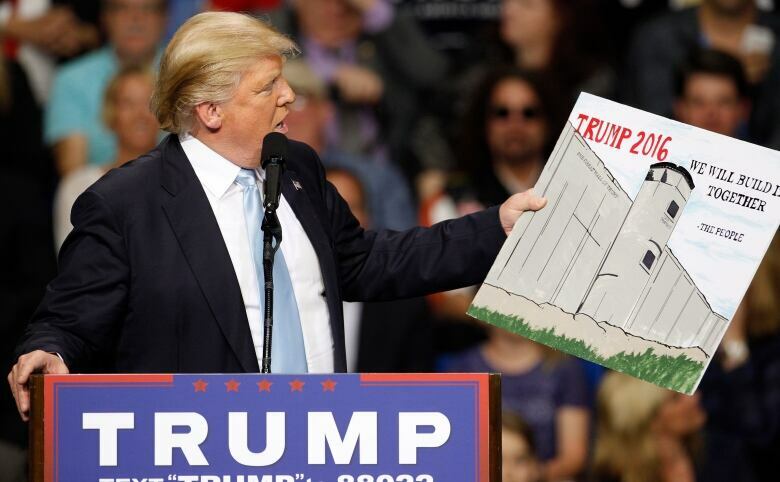 Trump campaigned on a promise to build a wall along the southern border, a pledge that often provoked chanting during his rallies. "It's not so much about policy — it's more about the emotions he evokes," Spencer told Rolling Stone shortly after Trump's inauguration. "And emotions are more important than facts. Trump sincerely and genuinely cares about Americans and white Americans in particular." 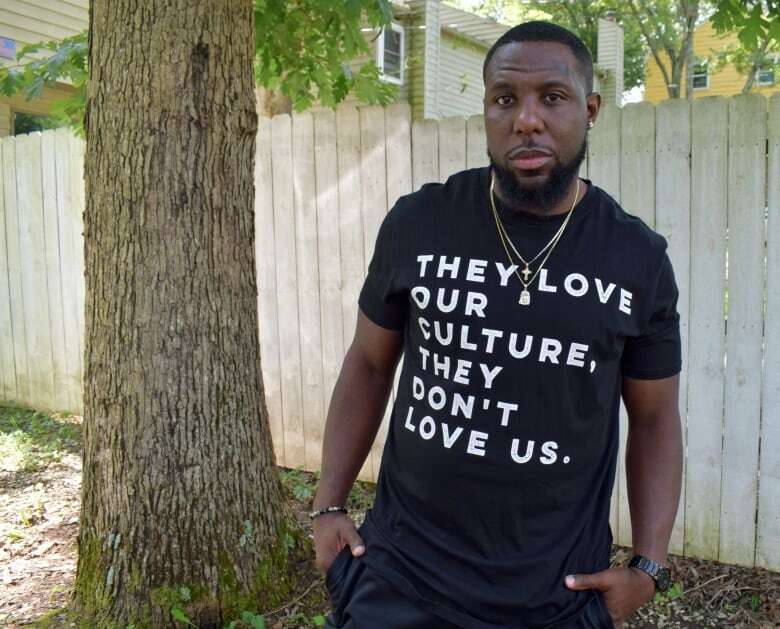 Trump has disputed the latter part of that statement, but that doesn't necessarily change the message received by white supremacists like Spencer. The president has also been accused of appealing to racism with his public attacks against black celebrities and athletes, including questioning the intelligence of basketball star and philanthropist LeBron James, and attacking NFL players who take a knee during the national anthem to protest police brutality and other forms of racial injustice. In the days following Charlottesville, Trump failed to deliver a clear condemnation of the rally. He said there were "many fine people on both sides," drawing an equivalency between the counter-protesters and a group that included neo-Nazis. "That voice of white nationalism having arrived in the mainstream of American politics — that's not going to go away," said Lawrence Rosenthal, chair of the Center for Right-Wing Studies at the University of California-Berkeley. Nonetheless, the fallout from Charlottesville badly damaged the alt-right. It is largely an online movement, and the shocking images of Aug. 12 led to some groups being "deplatformed," limiting their ability to reach followers and raise money, says George Hawley of the University of Alabama, who studies far-right groups. Domain name provider GoDaddy cancelled service for neo-Nazi news site the Daily Stormer last summer after it disparaged Heyer. 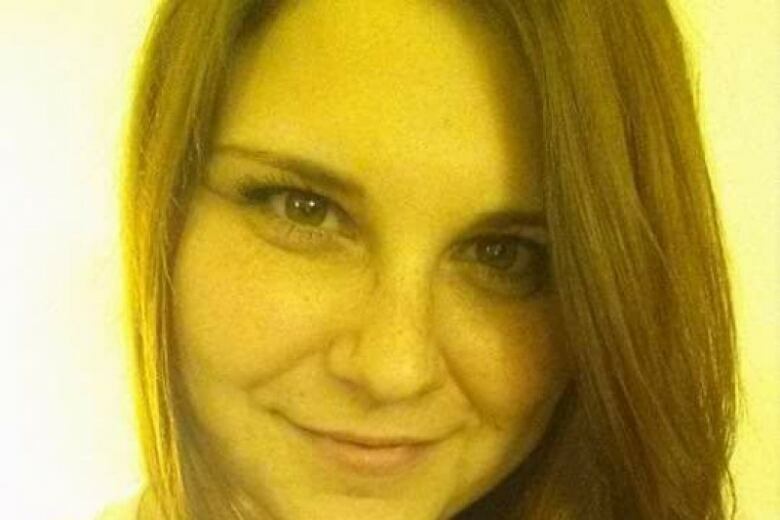 PayPal also closed the accounts of more than three dozen extremist groups, including one tied to Spencer and another linked to Jason Kessler, an organizer of the Charlottesville rally, in the days following the violence. The move came after the Southern Poverty Law Centre argued that PayPal played an "integral" role in the helping white supremacist groups to raise money. "The movement had the wind taken out of its sails with the public relations disaster of Charlottesville," Hawley said of the alt-right's ability to organize. "It has not really recovered." Kessler tried to plan an anniversary rally in Charlottesville, but his petition was denied. Instead, he's planning an event called Unite the Right 2 on Sunday in Washington, D.C., just across the street from the White House. Kessler says he doesn't know how many people will attend, but some alt-right groups have told their followers not to go. The Daily Stormer cautioned its readers that if they show up and are outed as neo-Nazi white supremacists, their future prospects for school and careers would be ruined. "You need to protect yourselves, you need to lay low," the article said. "We cannot win a battle on the streets." To try to clean up the image of this year's event, Kessler has posted strict instructions for attendees of the D.C. rally: Only American and Confederate flags are allowed (i.e. no swastikas), and no battle gear. Though there's no official white supremacist event planned in Charlottesville, the city is in a proactive state of emergency just in case. More than 1,000 police officers will be on duty, with streets closed and parking restricted throughout the downtown. "I've had anxiety all week," said Stabler, back on Heather Heyer Way. "But I don't want that to take over. "I want to be able to go about my life in Charlottesville."